With the advent of technological advancement, there are now more aesthetic options for getting your teeth straightened to improve both your bite and the appearance of your teeth. If you’re considering getting braces either for yourself or your child, it’s important to know what your options are but before you decide if you want metal braces or clear braces. But, it’s first important to decide if you actually need them. Your teeth are not properly aligned and give the impression that they are crowded due to the angles at which they sit. Your jaw shifts or occasionally makes sounds. In some cases, this is a result of developmental issues and may be corrected with braces. You are always biting the sides of your cheek or hitting the roof of your mouth. This could indicate that you have an underbite or overbite, which can be corrected with the proper alignment of your teeth. You have trouble chewing food. This may be alleviated by the correct alignment of your teeth. You lost your baby teeth relatively early and in doing so had the growth and development of your adult teeth negatively affected. Traditional metal braces – These are made of stainless steel and wires. While they are less noticeable these days, they can still be easily recognised by comparison to other options. Ceramic braces – These braces mimic the colour of your teeth, allowing them to blend more naturally with your teeth. Lingual braces – Similar to traditional braces, the only difference is that these metal braces are installed behind your teeth and out-of-sight. 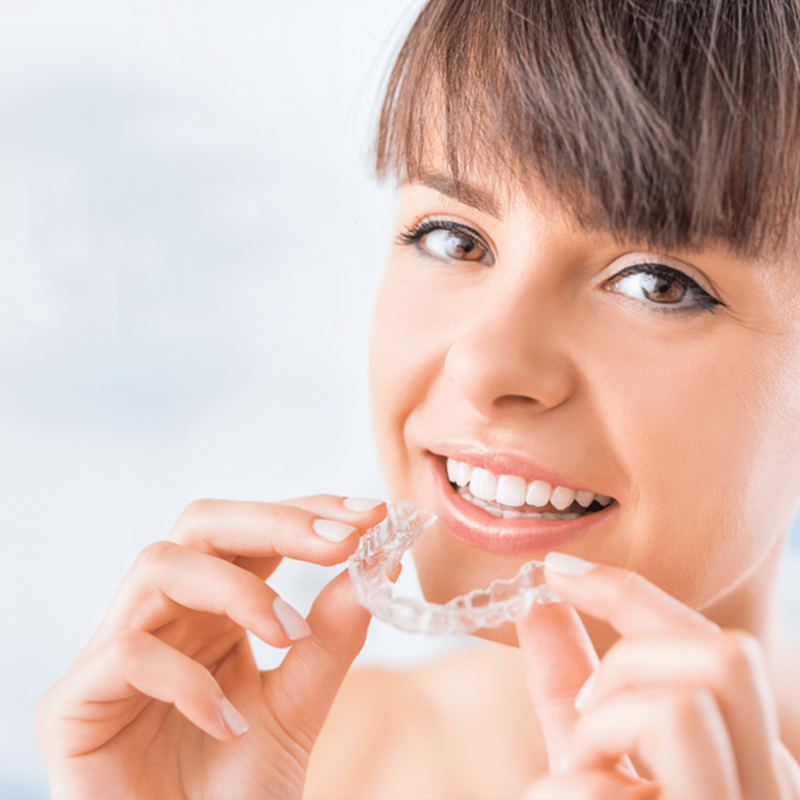 Invisalign – These are custom-made, removable, and transparent aligners that are virtually invisible. They are replaced every two weeks to ensure your teeth are aligning to the projected direction. At Fremantle Dental Care, we offer you and all our patients the best possible care that we can provide. Our dental staff are all fully qualified and able to assist you in getting the smile you’ve always wanted. If you’re interested in investigating the possibility of getting braces, or have any questions regarding our services, please contact us today.